Beach view of Sandals La Toc Resort. Located in St. Lucia. 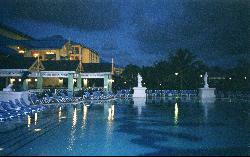 This resort was named Sandals Regency Golf Resort and Spa. The walking path to the main lobby at Sandals Halcyon Beach Resort. Shoadow view of the Pier restaurant at Sandals Halcyon Beach Resort in St. Lucia. 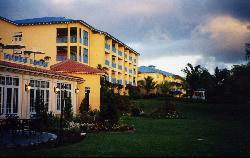 Photo of accomodatons at the Sandals Grande St. Lucian. 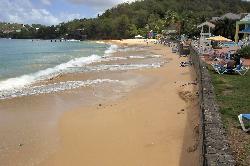 Photo of beach at Sandals La Toc Resort in St. Lucia. Formerly known as Sandals Regency.